12 days of tangling will keep us busy! 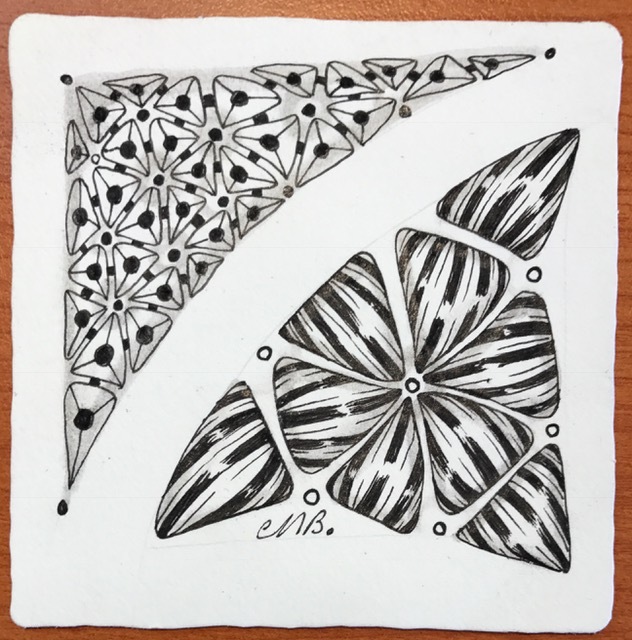 Check out Blog Zentangle or the Mosaic app for info on taking part in "The 12 days of 3Zs" my 3 sided tiles haven't arrived in the mail so I will be using square tiles. Tripoli is our 1st tangle.